We are offering an excellent quality of Foot massager. Our profound industry experience has helped us to offer Industrial Condensers to our customers. 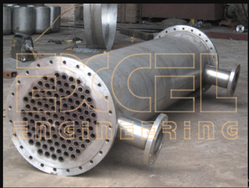 The range is inclusive of various grades of stainless steel and mild steel condensers.Specifically designed, these are known for their efficient performance and come with a steam condenser, which is a basic kind of air-cooled heat exchanger. The condenser range has 35°sloped bundles to reduce footprint and 100 percent welded connections to avoid leakage. Furthermore, in order to meet the variegated needs of our clients, we have manufactured these condensers with copper tubes/ aluminium fins and are duly pressure tested. 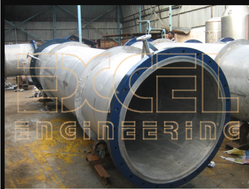 We manufacture columns for distillation purposes which are necessary equipment for industries in which distillation is necessarily carried out. These are highly efficient distillation columns that are designed to achieve highly effective distillation process for a variety of products. They can be offered for various batch type/continuous applications to operate under multi-pressure, atmospheric or vacuum conditions. 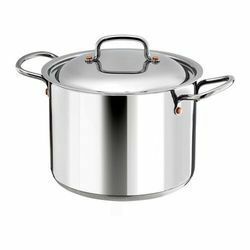 We offer an array of distillation kettles in various capacities that are extensively used in various industries such as chemical processing, food processing and many more. 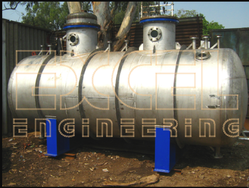 These kettles can be provided with limpet coils, jackets, tube bundles depending upon the applications. Precisely fabricated from qualitative raw materials to strict quality standards as per the need of clients. Steam from the kettle passes upwardly through the coil and into the casing and is condensed and collected at the base and discharged as distilled water. A feed from the heated cooling water replenishes the water supply in the kettle and maybe automatic if desired. Our organization has been delivering an exclusive variety of Catch Pots to our esteemed customers. The catch pots we offer to the clients are manufactured by a team of sincere experts by employing contemporary machines and tools.We fabricate highly efficient catch pots that are used in distillation works in various industries such as petrochemicals and chemicals. Looking for Distillation Equipment ?